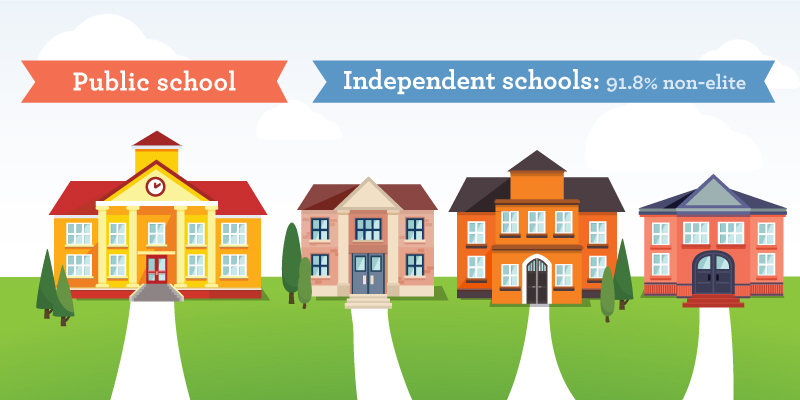 Calls for reductions to or elimination of funding for independent schools in British Columbia are based on misperceptions, specifically, that parents choose independent schools because public schools are underfunded; that independent schools are "elite" and that government funding of independent schools drain public expenditures. The evidence demonstrates a contrasting reality. First, spending on public schools increased by 19.8% between 2004/05 to 2013/14, from $5.3 billion to $6.4 billion (an increase of 7.1% when price changes are considered). Second, when the decline in enrolments in public schools is taken into account, per-pupil spending in public schools increased over the decade (2004/05 to 2013/14) by 18.3% from $9,971 to $11,797 (adjusted for inflation, in 2014$). Third, over the decade (from 2003/04 to 2012/13) the vast majority of the increase in spending (61.3 %) went to staff compensation. Fourth, enrolments in independent schools increased nearly 18% over the decade 2004/05 to 2013/14 and waitlist evidence from 2012 shows that increases may well have been higher had spaces been available. During the same period public school enrolments declined by 8.5%. Fifth, the elitist caricature of independent schools does not hold. Most exist to serve other parental preferences in education. More than 55% are religiously-oriented and 20% have a specialty teaching or learning emphasis. In 2015/16, the government spent an average of $8,288 per public school student for operational expenditures while it granted an average of $3,911 per independent school student. If funding were eliminated and more than 37,464 students migrated back to public schools, provincial expenditure on education would increase, further straining finances.